From bestselling authors in the Amish genre come four delicious novellas perfect for celebrating love, joy, and the holiday season. As Christmas draws near, Alyssa Byler dreams of a window display for the bakery where she works. When she decides to design and build a sugar cookie nativity scene, all she needs is the right cookie cutters—and handsome blacksmith Kyle Smoker is the one she asks for help. Using Kyle’s handmade cutters, Alyssa creates a striking display that brings more tourists to the bakery than she can handle. And when shoppers request handmade cookie cutters of their own, Kyle finds himself overwhelmed by the demand. As Christmas approaches, Alyssa realizes she’s been too caught up in work to focus on the true meaning of Christmas—and too distracted to explore the feelings she has for Kyle. Together, they put aside the holiday rush and spend their time celebrating the season that has brought them together. As the only girl in a family of eight, Katie Swartzentruber has been left in charge of her family’s bakery while her mother recuperates from surgery. At first, Katie doesn’t think tending to the bakery alone will be difficult. She’s worked alongside her mother for years. But Christmas is coming, and with the holiday comes a flood of patrons, both regulars and tourists. When Katie becomes overwhelmed with the orders she is receiving, she is tempted to move her Old Order family into the modern world by purchasing propane ovens to help with the workload. She finds help from an unexpected source—childhood friend Henry Hershberger, who has harbored a secret crush on Katie for years. He’s been afraid to tell her how he feels, but he’s sure that this Christmas is his moment. As the demands of the bakery only get more intense, both Katie and Henry have to decide what really matters . . . and find the courage within themselves to go after it. Martha Ropp works hard at her family’s bakery, making cakes and pies in preparation not only for Christmas but the many community weddings, including her sister’s. To help during this busy season, Martha’s mother hires Ambrose Hershberger to make deliveries. Martha remembers Ambrose as a gentle giant from her school days, but soon discovers that still waters run deep. The more they work together, the more they want to spend time together outside of the bakery, but both Martha and Ambrose are too timid to make the first move. That’s when the town matchmakers step in. In Cookies and Cheer, I introduce new characters, Alyssa and Kyle. 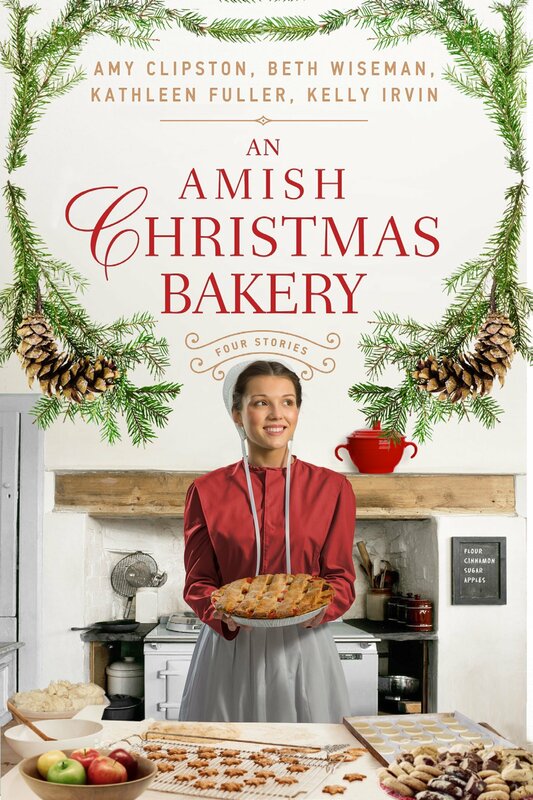 I had a great time writing about a bakery since I haven't featured a bakery in my books since I wrote my Kauffman Amish Bakery series. I hope that readers enjoy Cookies and Cheer and that the story helps to get them in the spirit of the Christmas season!